I hope you're having a great start to the Christmas weekend! I don't think Blogmas would be Blogmas without sharing some sort of nail design and although I didn't create as many as I would have preferred to this year, I did create a set of nails which I absolutely love and cannot wait to wear this Christmas! They're so simple and only require four products too; anyone could create them themselves. This Christmas I decided I wanted to go for red nails with a lot of glitter which tends to be the route I usually go down but instead of the traditional red and gold I wanted to bring in my absolute love for silver but with a twist. 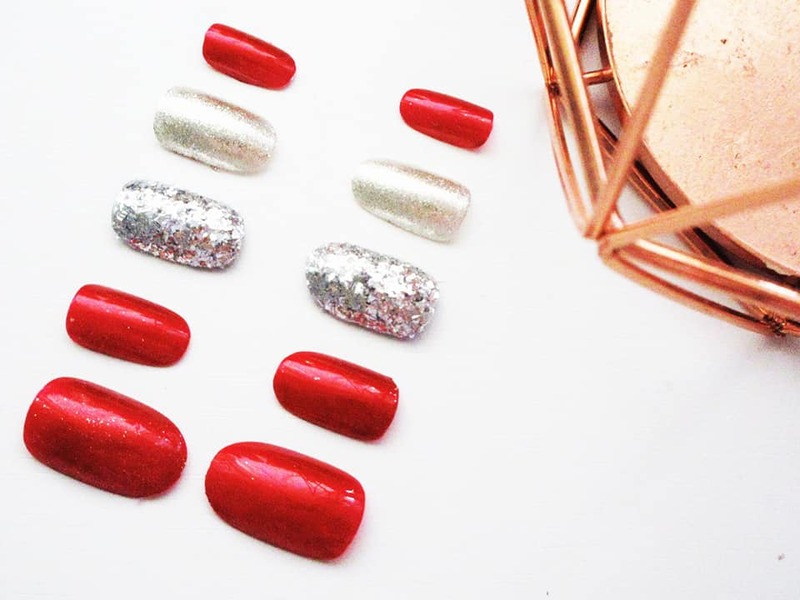 For these nails I used a beautiful nail varnish from Miss Sporty, it's the most perfect shade of red and I always reach for this nail varnish when it's the Christmas period because of the richness and brightness of the colour. I then recently received two products from Essence which are both insanely gorgeous glitters but they're completely different. 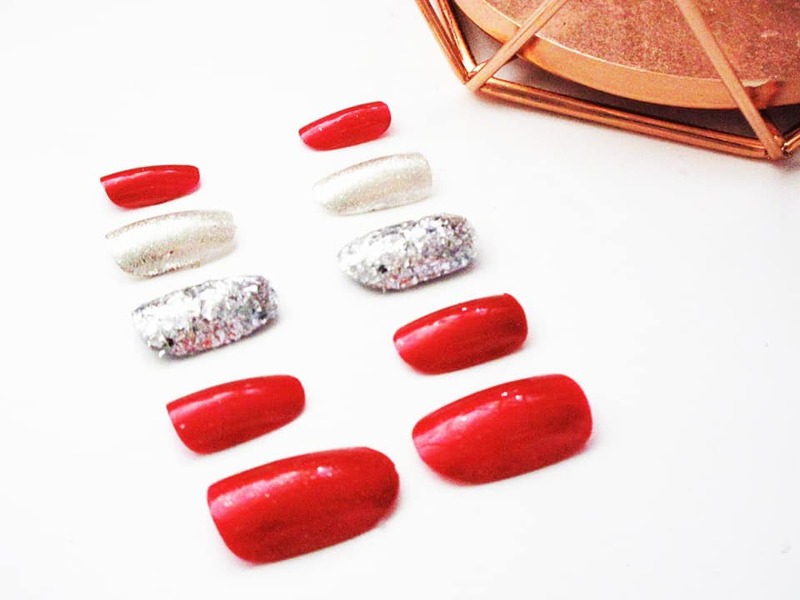 The middle nail consists of chunks of glitter to create a glam look. To use this, you apply a coat of nail varnish of your choice (I went for silver), and whilst it's still wet, apply the glitter to it. You then have to press down the glitter so you know it's really stuck in there. Once it's dry, apply a clear top coat and you're done. But I didn't want to stop there with the glitter. I decided to use another glitter from Essence which you smooth onto a clear nail varnish. It creates a smooth, soft finish and reminds me so much of the rose gold chrome glitters you can get for gel nails; but this is without the use of a light and gel varnishes. Of course once the glitter has been applied, cover with a clear top coat. I absolutely love glam nails and I could make these stand out so much more by applying gems and red glitter onto the other nails but I think that's a little bit over the top for just Christmas Day. However, for a Christmas party? Now that's where you go all out. Would you buy a set of nails like these?